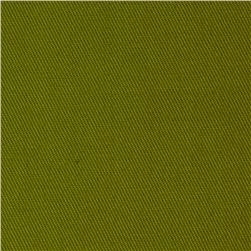 I just ordered the Olya Shirt from Paper Theory, the most expensive pattern I’ve ever purchased. But I love the vibe and the back story. It will be wonderful over jeans. Today, I also went for 5 fabrics from Cali Fabrics. And I’m on the hunt for more before the end of the month, lurking those Presidents Day sales. I was down to only one fabric in my stash! 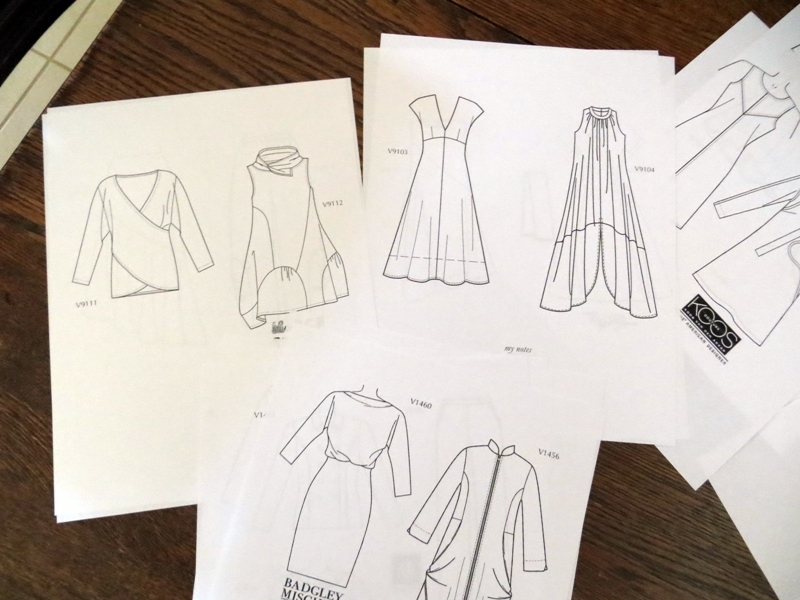 I really really need to remedy that… So 4 French terry knits and one rayon challis (for that beautiful shirt pattern). I look pretty calm, right? Well, it has been interesting – my first experience with an African wax print. As background, I’ve been enjoying Zoona Nova’s blog and pics on Instagram so much. She lives, works, and plays in Malawi, and her stories and projects are fascinating. The local handicraft projects with which she’s involved (and pending pattern releases from her own design studio) include garments made with African wax prints. 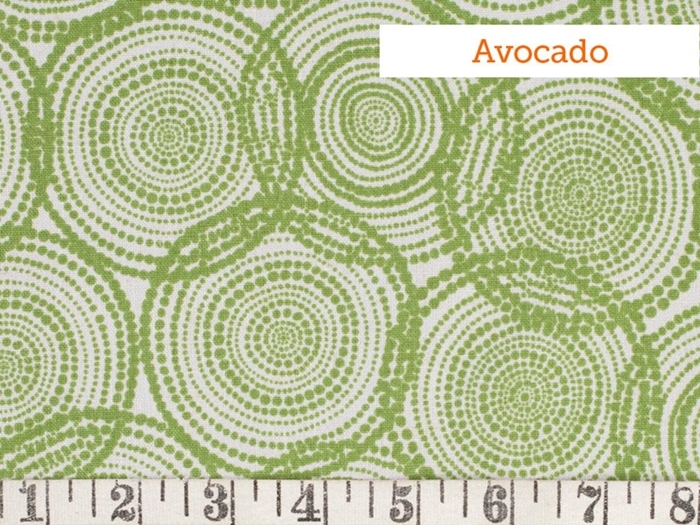 The fabrics are stunning – such variety, gorgeous designs, and so colorful! I just had to try some. 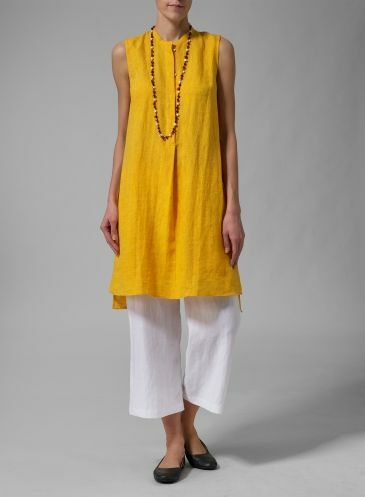 Top: McCalls 7597 in bleached muslin. 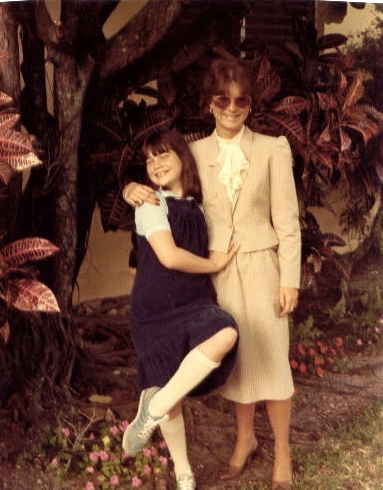 I had no idea what to expect – stiff, waxed, starched? Well, in reality, both pieces were a bit stiff and rather shiny when they arrived. So, starch or some similar resist material. And drenched with color, all the way through. I wasn’t sure how to wash them or care for them. After a lot of research, and many opinions, I just threw up my hands and put them in a warm water wash with mild detergent, and then in the dryer on the delicate setting. They both came out fine, great in fact. No running or loss of color, and no discernible shrinkage. I was amazed! Sassy pants! I made these with Vogue 9217, Kathryn Brenne’s dolphin hem pants (original post here). With such an ‘active’ print, I left off the curved side vents and just cut a straight hemline, with an additional couple of inches to make them really long. I did keep the bound finish though. I think it adds nice balance to the print. Top: Grainline Studio Scout Tee in cotton seersucker. Oh boy! I’ve been indulging my impatience for the change of season. Of course I’m totally ignoring articles about spring and summer trends – styles, colors, and so on. I’m more concerned with what colors I can wear with my ‘new’ white hair ,and how to reinvent my favorites (maxi dresses and tunics) for some different looks! 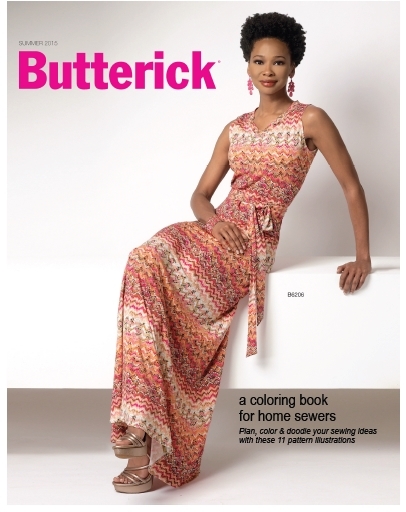 I must say that BMV patterns and Fabric Mart have been very collaborative. I’m beginning to feel like Chris at Fabric Mart is my BFF. So – a few thoughts. Flutter sleeves and a floaty skirt, in light and drapey rayon challis. Enough to keep me busy and out of trouble for at least a couple months! Meanwhile (I’m waiting for patterns to arrive), I made a little housedress in silky soft rayon knit, using the Cali Faye Gardenia Dress. Emile gets to wear it while the skirt and sleeves ‘drop’ before hemming. Spring green! I love the curved bodice on this pattern. Small details make such a difference. 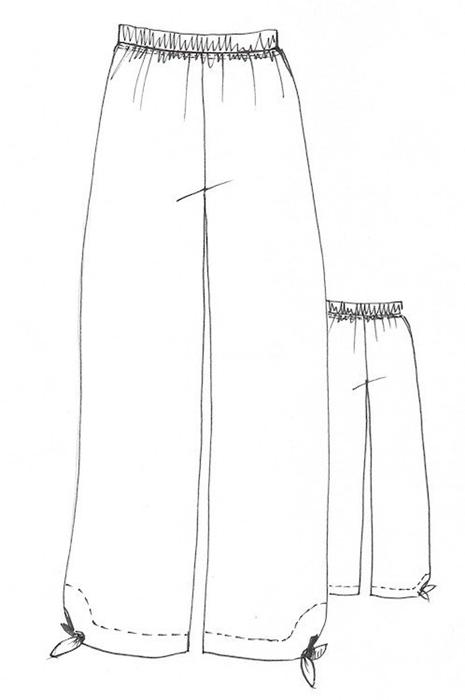 Loose-leg pants – I love them. 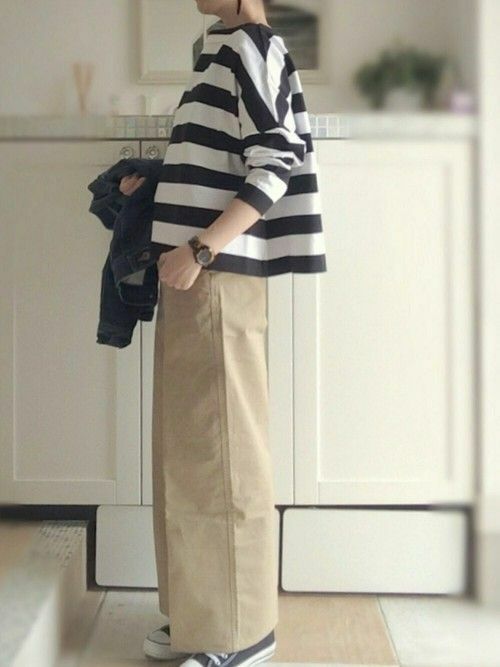 Recently I was cruising PInterest and came across this pic from My-Closet.jp. 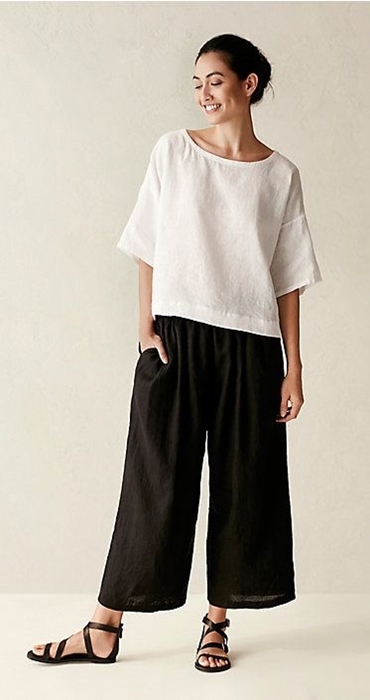 I think these chino pants and cropped top are a fantastic look for fall/winter. And they’re perfect for Florida. So I was off and running, once again, looking for a baggy pants pattern. I have lots of patterns in my stash that I’ve tried: zippered (the Merchant & Mills Strides, Vogue 8836 trousers) and elastic waist ( Vogue 8584 and a bunch more). 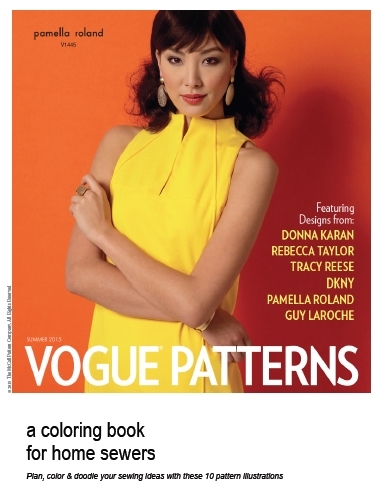 Vogue 8584 was my go-to for several years, but I’ve pretty much trashed the tissue with so many re-makes. Moving on. 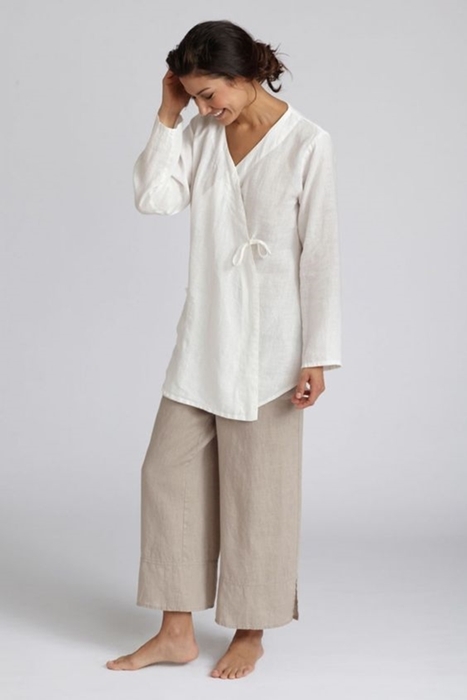 I found the Daisy Designer Pants and Tunic on Style Arc, a two-fer that suits my budget and appeals to my style preferences. Oh boy! I had the digital pattern purchased, printed, and taped by bedtime last night. Well, the pants, not the tunic – that’s for later. And I worked on the flat measurements and drafting adjustments this morning. I had tissue by noon! 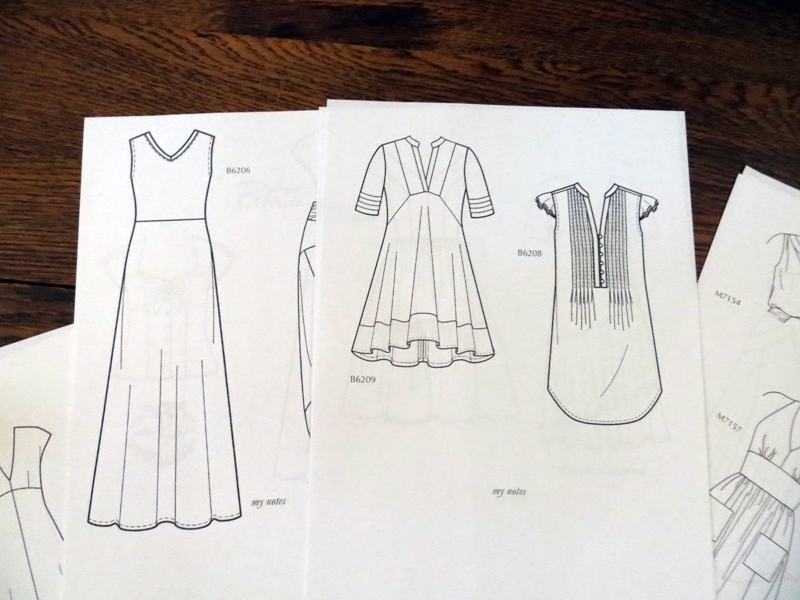 So the weekend beckons, with lots of sewing planned. And I’m grateful. My thoughts are with all the folks being impacted by Mother Nature’s many challenges. OK – adult coloring books, the latest craze. I’m in. I love coloring books and admit to a collection of doodle art and mandala art coloring books. And I can hardly pass up a new collection of felt tip pens or colored pencils in a store. I also pick up crayon boxes just to smell them, remember how they smell? I think the best is the box of 64 colors. Some of us just never grew up when it comes to playtime. Coloring is so relaxing, the same way knitting is. One just sits and does it and the mind wanders. This morning I happened across a post on Facebook referencing coloring books from McCall Company’s blogsite. How did I miss this for so long? I quickly found and printed four, which I think is all that they’ve published so far. I included links on each of the pics below. 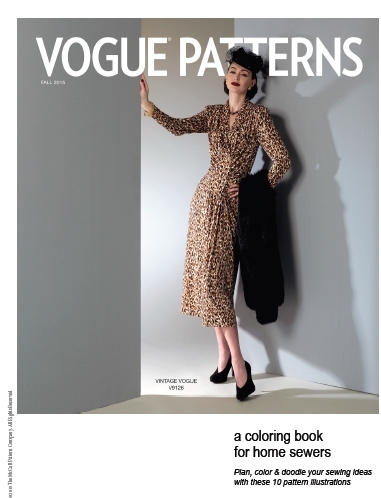 Each PDF ‘book’ has 8 – 10 patterns, basically large-scale line art, from what McCalls’ considers the most talked-about patterns in a collection. They’re really nice! 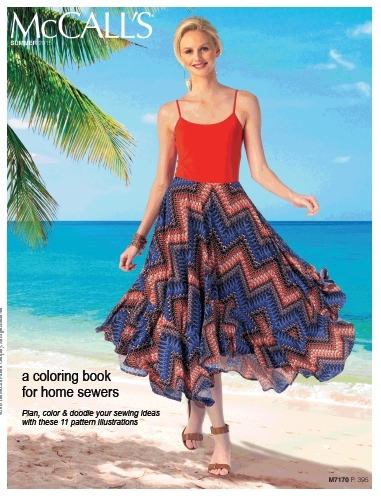 and they include a lot of patterns I’ve sewn or seen on other blogs. And some I might sew, particularly with all this inspiration. Meanwhile, I can color, and I hope they do more. 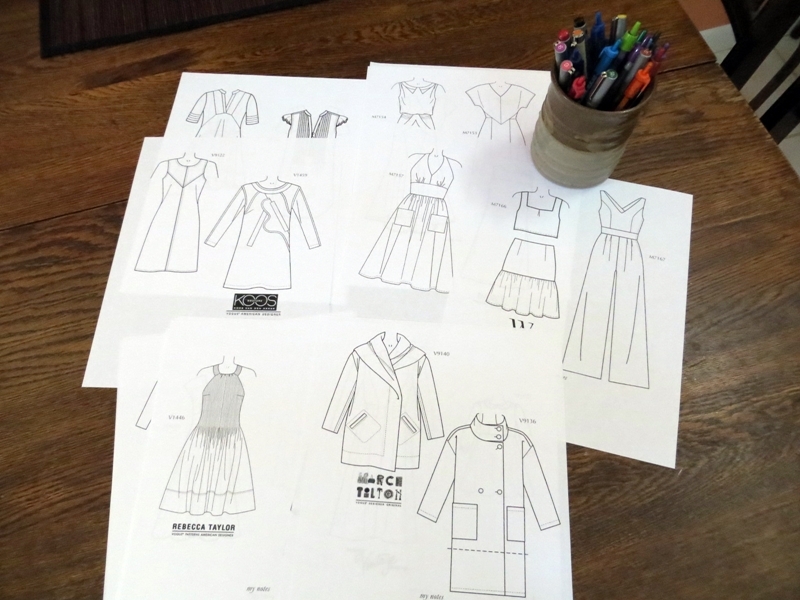 On the sewing front, I’m waiting for a new pattern to arrive. Something different – a sunhat. 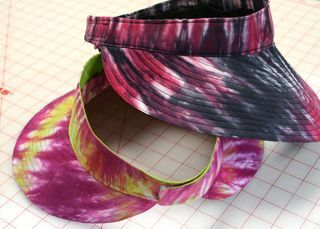 I haven’t done a hat in a couple years, but I have lots of cotton scraps that would be perfect for one. And I have craft-weight interfacing in the loft. 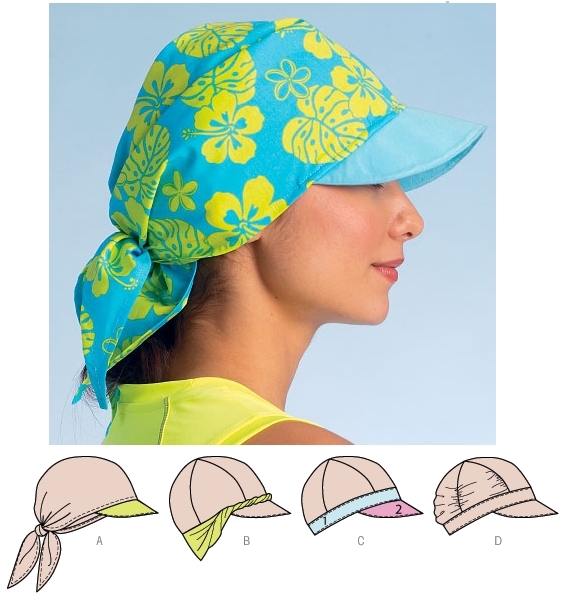 I’m thinking about combining the pattern with Vicki Welsh’s free sun visor pattern.